The majority of Brits lack confidence in choosing wine with 70% admitting they bluff their way through their wine choices, according to a study commissioned by the Wine and Spirit Education Trust (WSET). Despite living in one of the biggest wine drinking countries in the world where 1.59 billion bottles are consumed each year, the study found that British drinkers are far from confident when selecting, buying and recommending wines. As a nation, 19% of Brits admitted that they “tend to buy the second cheapest wine on the menu”, perhaps to appear more informed with men more likely to bluff their way through their wine choices. 13% of male drinkers admitted “on some occasions, I pretend to know more about wine than I actually do”, compared to just 10% of women. Women were found to be less less confident in their wine knowledge than men with three quarters confessing to a lack of wine confidence, compared with two thirds of men, 66%. Both sexes were on par when it came to being embarrassed by their lack of wine knowledge with 13% of male drinkers agreeing with the statement “I’m sometimes embarrassed by my lack of wine knowledge”, compared to 12% of female drinkers. While interestingly 16% of women were found to consider wine knowledge an attractive trait in a male. The survey also uncovered strong divides in wine know-how throughout the country with Londoners found to be the most confident with 37% saying they were “confident”, while the least confident drinkers were found in the East Midlands where 82% said they were “not confident” in their wine knowledge. But of those surveyed 31% said they would be interested in “learning more about wine”, with 32% admitting it they knew more about wine they would be “more experimental” with their choices. 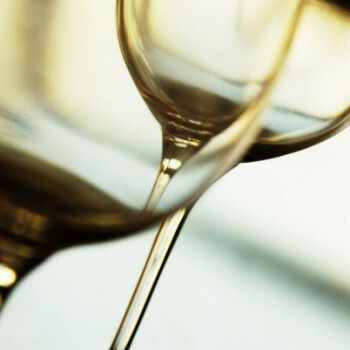 Ian Harris, WSET chief executive, said: “There’s no shame at all in not knowing much about the wine in your glass, but it’s a real shame if a lack of confidence means you can’t enjoy it fully. Wine knowledge and the confidence that comes from it, opens the door to an amazing world of discovery, which no wine lover should feel is unobtainable.